A Little Golden Book retelling of the classic novel beloved by generations of girls! "Its not a dream," whispered Sara. "The Magic is real!" 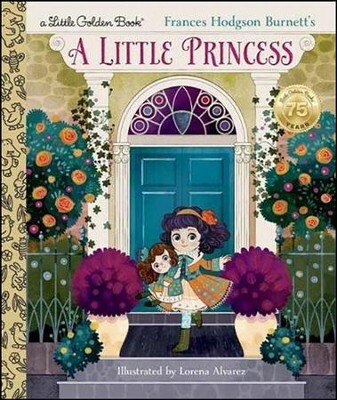 Preschoolers will be captivated by the story of Sara Crewe, a wealthy little girl who becomes a penniless orphan. Saras rich imagination, and her kindness toward those with even less than she, help her through a difficult time. Then magical things begin to happen through warm, caring people, and soon Sara finds happiness for herself and her best friend. Based on Frances Hodgson Burnetts classic novel, this retelling, simply and warmly narrated, will charm little ones. Theyll fall in love with Sara, the friends she makes in good times and bad, and her life as a little princess. FRANCES HODGSON BURNETT (18491924) was an English American novelist and playwright best known for the classic childrens novels Little Lord Fauntleroy, A Little Princess, and The Secret Garden. ANDREA POSNER-SANCHEZ (adapter) has worked as an editor in childrens publishing for over twenty years, and is a prolific author of books for children. LORENA ALVAREZ enjoys working with traditional techniques, as well as digital media and photography, in her illustrations for childrens books, fashion magazines, and advertising. Shes also a member of La Procesi&oacute;n Puppet Club, an experimental puppetry troupe. Visit Lorena at www.lorenaalvarez.com.